Convert AVI to iPhone, TV, game console and any popular optimized preset. 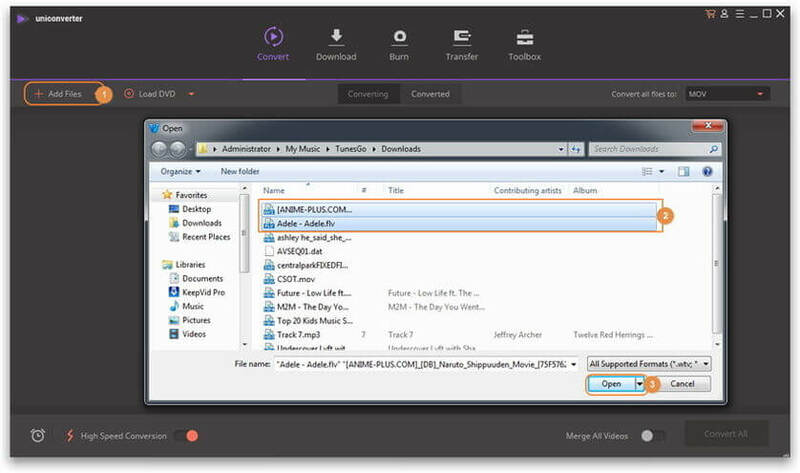 Convert AVI to over 1000 video/audio formats, including M4V, MOV and MP4. "I have some divx-movies (.avi) on my computer and I want to convert them, so I can watch them on my iPhone 7. I have tried Handbrake but it doesn't work. And also, I can't search anything useful with Google. What program should I use?" 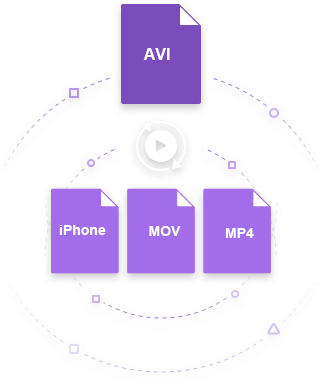 To play AVI (Divx movies) on iPhone X/8 Plus/8/7 Plus/6S/6/5S, you first need to convert AVI or Divx to iPhone compatible formats like MP4, MOV or M4V. This article introduces two solutions for converting AVI format to iPhone format on both Mac and Windows (Windows 10 included) OS for assisting you to do the playback. Here we go the step by step guides. To do such an AVI file to iPhone file Mac conversion, you need a professional Wondershare UniConverter for Mac (originally Wondershare Video Converter Ultimate for Mac) to help you. The one used here supplies you ultra-fast conversion speed as well as loss-less video quality. Step 1 Directly drag & drop your AVI files to the Mac app, or click the button to import your AVI files for converting. Step 2 Select your output format. 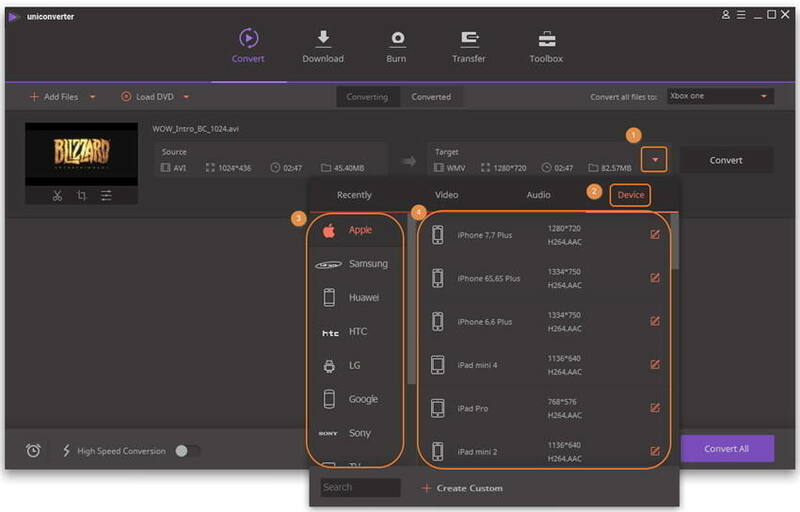 For iPhone, this converter has supplied an optimized preset for the device so you can directly choose it: click the icon from the Target section > Go to Device > Select iPhone. The preset is available for iPhone X/8 Plus/8/7 Plus/6S/6/5S. Step 3 Click Convert to convert AVI to iPhone in Mac running Mac OS X Mojave, Sierra, El Capitan, etc. Below is a detailed video tutorial for your information. You need an AVI to iPhone Video Converter, which can help to convert AVI format to iPhone X/8 Plus/8/7 Plus/6S/6/5S supported formats. This converter could be a good choice for you. All you need to do is very simple in three steps. There're two ways for you to add AVI file, click the "Add Files" button to add AVI video files to the AVI video to iPhone converter or directly drag your AVI files into the AVI video to iPhone converter. 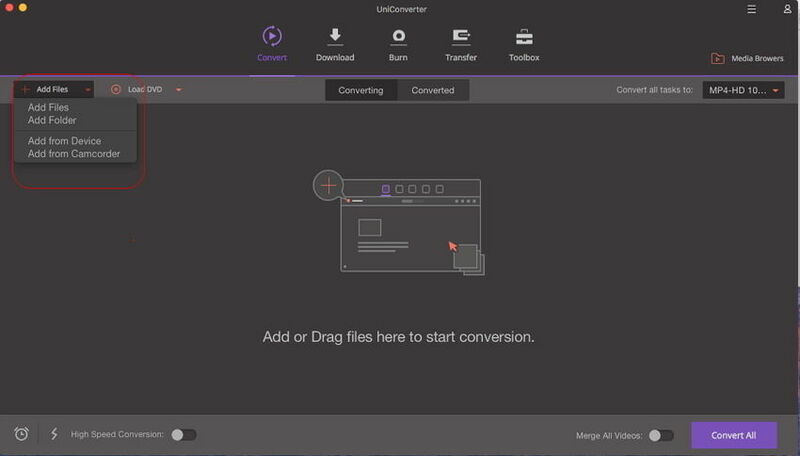 Note: This converter supports batch conversion, so you can import and convert several multimedia files at one time. Go to the Target section and click the drop-down button, then a drop-down list will appear with tabs of Recently, Video, Audio and Devie. To simply select the iPhone-compatible format, go to Device > iPhone and select the specific model for your iPhone in the right. Click Convert to begin AVI to iPhone video conversion. The converting progress bar shows you how much of the encoding is completed. That's all. You can enjoy and share your AVI videos on your iPhone X/8 Plus/8/7 Plus/6S/6/5S now. What's more, if you want your videos to be more amazing, you can set video resolution, bite rate, codec and frame rate to get perfect output videos, and edit the AVI video files by trimming, cropping and adding special effects and watermarks before you output it.